The Videolarm SDP12C SuperDome-12 12" Indoor Dome with Pendant Mount is a general-purpose dome camera housing for indoor use. It comes with a pendant mount with 1.5" pipe thread and 1 fixed camera bracket. Featuring a maximum camera length (MCL) of 7" (177.8mm), the dome can accommodate 2 full body, fixed cameras with lens (additional bracket sold separately). 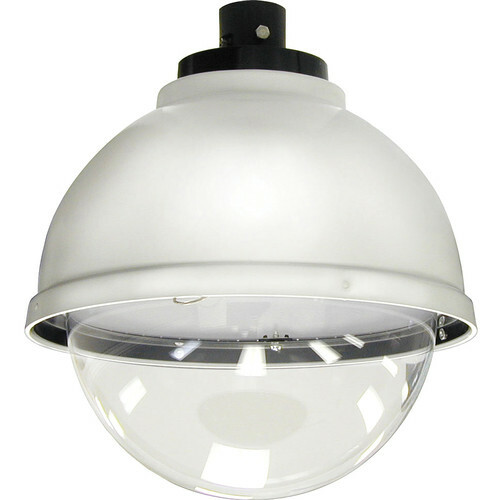 The SDP12C SuperDome features a clear dome for enhanced low-light visibility.